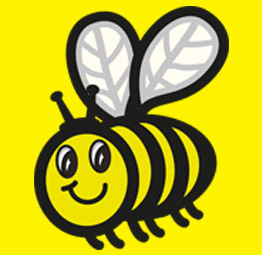 The Hunny Nurseries pride themselves on having a hard working, commited and inspirational management team. The nurseries work closely together to seek and sustain improvements and to share their wealth of knowledge to benefit the staff, parents and children within all the nurseries. 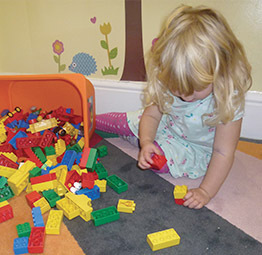 Laying the correct foundations for future learning takes place by the highly skilled practitioners planning purposeful play activities which are differentiated for all children's development. Taking into account the children's interests and characteristics of effective learning, the environment is set up to provide an environment which offers challenge and open ended play both indoors and outdoors. Providing a home from home environment offers the children the opportunity to build secure attachments within their rooms and with their key workers whilst following a familiar routine to the individual child. The nurseries provide opportunities to develop the children's health and independence through a range of activities such as the daily Hunny shake and self serving at meal times. 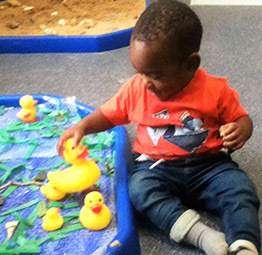 An enabling environment combined with positive relationships whilst taking into account the unique child, results in learning and development. "My daughters Katie(4)+ Jessica (2) have attended the Hunny Nurseries since they were 6 months old. Both are extremely keen to attend nursery and really enjoy their day. I find all the staff extremely friendly and keen to encourage and support the girls development. I go to work knowing Katie and Jessica are well cared for, happy and safe, which means alot."